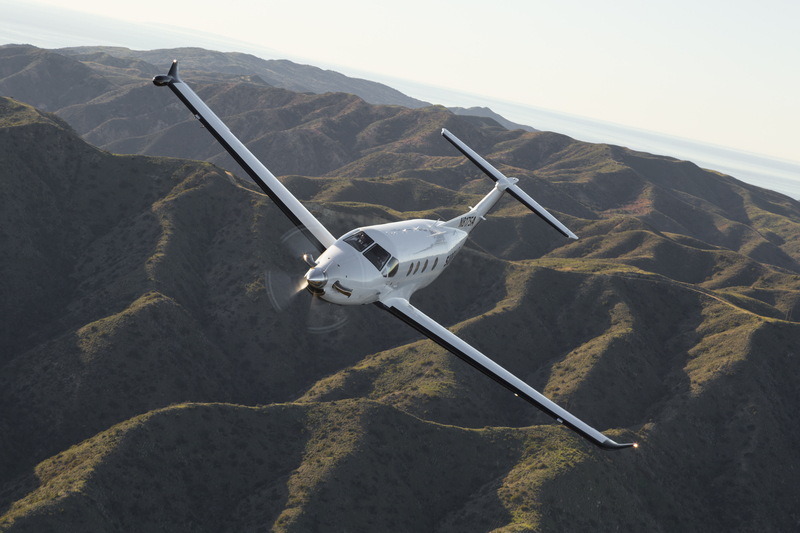 We’re thrilled to announce an entirely new way to experience Surf Air! 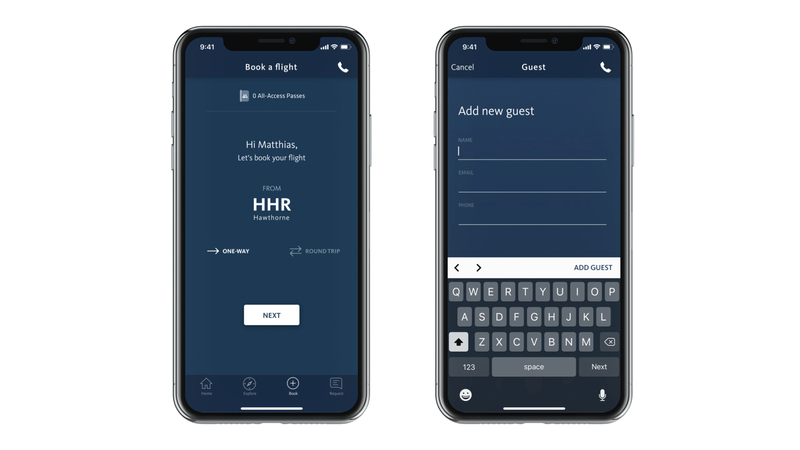 Our brand new iPhone app features a sleek interface with easier booking functionality, guest passes, charter desk access, city guides, and so much more. We’re not stopping there, though. With new tech comes new possibilities — which is what drove us to re-imagine a way to give you even more freedom. Now you can book, buy, and fly individual seats on our private aircraft across the Surf Air network, all for one low annual fee. Read on below for more details, or download the app here to explore it yourself! Buy as you fly, one seat at a time. For the first time ever, you can purchase single seats on Surf Air. Open your eyes to a world of possibility and enjoy flights to all Surf Air destinations. Easily book on the new interface. 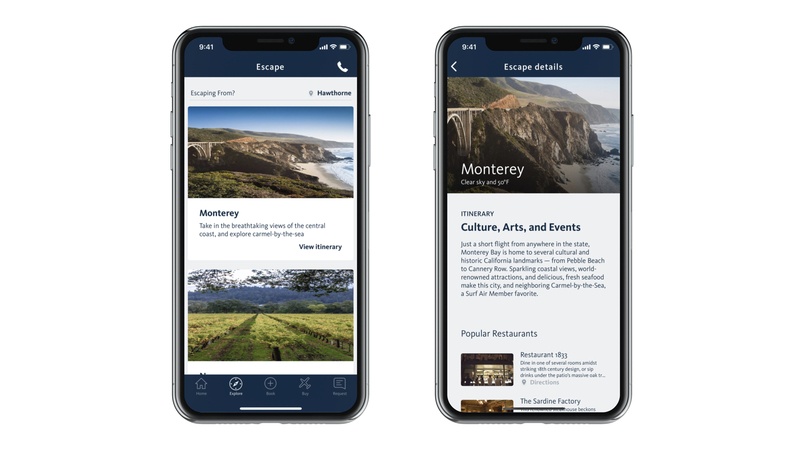 Our new app is streamlined and intuitive to your travel needs. Whether you are looking for a quick commute or weekend getaway – we’ve got you covered. Bring a friend for the ride. Simply enter their information and check out. Book as many individual flights for either yourself, friend, colleague or family member. They can fly with you or on their own! Access to Surf Anywhere. Surf Anywhere is a new charter service from Surf Air that provides the most personalized flight experience. Design your flight in just minutes and you’ll be off on your own personal charter to anywhere in the world. City Itineraries. Each city has so much to offer, it’s hard to know where to start. That’s why we’ve created in-depth itineraries to help you see what’s out there. Each profile includes Surf Air-approved dining, entertainment, activities and lodging. Now that you know what the membership is all about, here’s a quick guide to walk you through the new app. 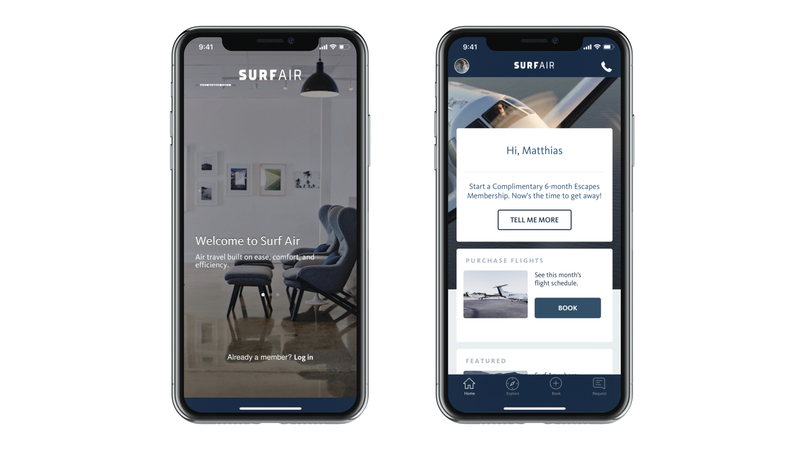 Download the Surf Air app. Now you can purchase individual flights any day of the week. Click “Book Flight” and select departure and arrival city, as either a one-way or round-trip. You’re all set! Click the “Explore” tab to learn more about dining, entertainment and activities in the area.